The state government of Delhi is soon going to launch a new App for the people who want to start their own business. 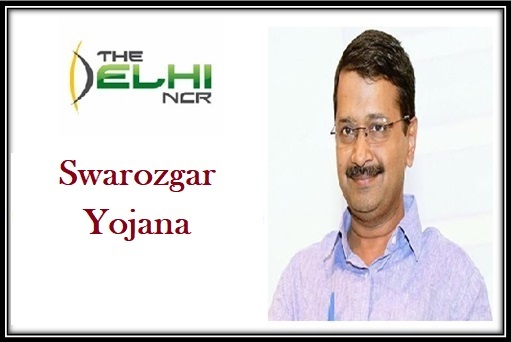 Swarozgar App is one of the initiatives that are taken to reduce unemployment rate in the economy. Through this App unemployed people who belong to scheduled caste, scheduled tribe, other backward classes and minority can take loan up to 5Lac and start their own business in India. App will be soon available on leading operating systems. Swarozgar Loan: The App is designed to make loans available for the people who want to set their own business. Loan application via a mobile App will be easier than running from bank to bank. Loan amount: Any amount up to Rs. 5 Lac can be availed as loan through this App. For the composite loan the maximum amount is Rs. 3 Lac and for the self-employment loan the amount limits to Rs. 5 Lac in this App. Benefits: Other than getting a loan the user can upload his / her important documents that are needed for loan. Also the App will have the facility to check the loan application status that is whether the loan is sanctioned or not. Loan Sanction: After applying for the loan if the loan is being sanctioned by the app, supervisors will visit the applicant’s house for further verification. Afterwards the applicant will receive the loan amount in their bank account. Interest Rate: Interest rate for the loan will be same as market interest loan. That is 6% interest rate will be levied on the principal amount. The tenure of repayment will depend on the amount of loan. Guarantor: Under Delhi government it was mandatory to get 2 guarantors to avail loan up to Rs. 5 Lac. However in this App applicants can bring only one guarantor to get the loan of same amount. Nature of business: Applicants can start business of something that does not pollute the environment. No chemical generating business will be allowed in this App. Applicant can use residential or commercial or both kind of lands for setting up business. Category: The applicant has to belong to the categories such as Scheduled Caste, Scheduled Tribe, Minority, Other Backward Classes, Physically Disabled Person and Disabled Financial Development Corporations will be eligible for this App. Business: There are few businesses enlisted in this App which will be eligible for the loan through this App. They are Cyber cafe, Auto or Taxi Services, Laundry and Dry Cleaning, General Stores, Photo Studio, Tailor Shop, Barber Shops, Electric Shops, Confectionaries and Pharmaceutical shops. Annual Income: The annual income of the applicant or the family should not be more than Rs. 2 Lac per year. Loan will be granted to the applicants whose entire family income is less than 2 Lac. Nationality: The applicants have to be the domicile of India. No non-residential Indian will be eligible for the Loan. The applicant has to have some documents to apply for the loan. The scanned copies are required to be uploaded in the app. The App will be available on Android platform when it will be launched. The applicant has to download the app to his/her Android supported Smartphone from Google Play Store. After installing the Application, the applicant has to register themselves with the App. To register with the App, user has to follow the instruction shown on the screen. Once registration is done, the applicant can search for the loan terms and conditions to apply for the loan in the App. The loan application process has not been out as of now. Since the Modi government has come to rule the Indian Central Government, various Apps have been introduced to enhance people’s life, especially farmers and economically weaker sections. In last few years nearly 7 mobile Apps have been introduced for the farmers and rural population. They are Farm-o-pedia App, Kisan Suvidha App, Shetkari Masik App, Pusa Krishi, Crop Insurance App, M-Kisan App and Agri Market App. Swarozgar App will not only be easier to use and get loans instantly, but also it will be another big step towards digitization. People who are willing to take loans now no need to visit anywhere for any paper work. Once the applicant submits the application for loan, the officer will himself visits their house. Once the app will officially launch, this space will be updated soon.